Jennifer Weiner's talent shines like never before in this collection of short stories, following the tender, often hilarious, progress of love and relationships over the course of a lifetime. We meet Marlie Davidow, home alone with her new baby late one night, when she wanders onto her ex's online wedding registry and wonders what if she had wound up with the guy not taken. We find Jessica Norton listing her beloved river-view apartment in the hope of winning her broker's heart. And we follow an unlikely friendship between two very different new mothers, and the choices that bring them together -- and pull them apart. 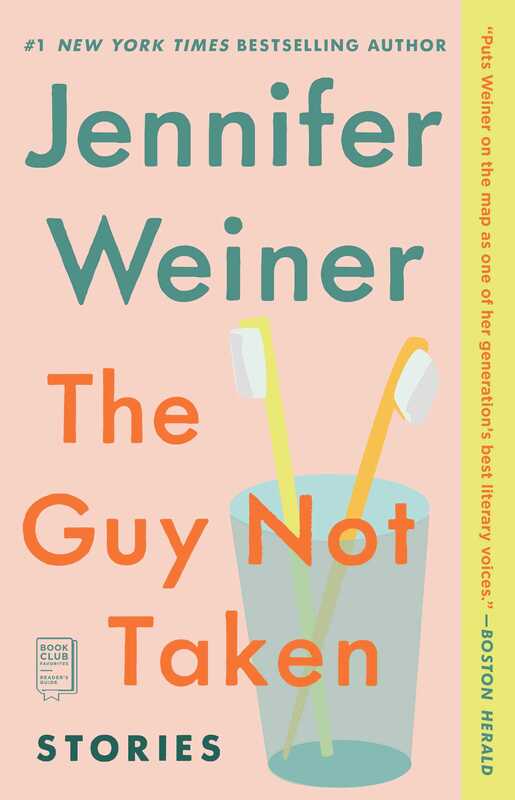 The Guy Not Taken demonstrates Weiner's amazing ability to create characters who "feel like they could be your best friend" (Janet Maslin) and to find hope and humor, longing and love in the hidden corners of our common experiences. 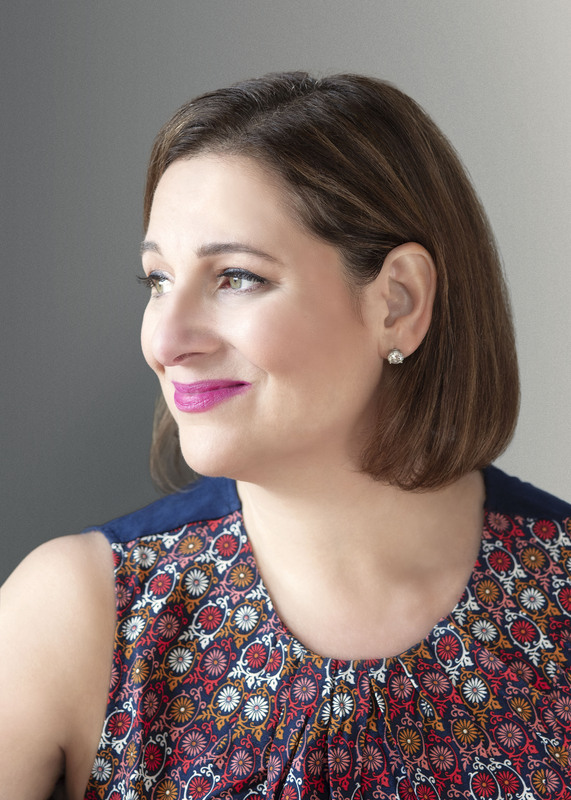 For the first time ever, New York Times bestselling author Jennifer Weiner collects her own short stories in one truthful, poignant, and hilarious collection. From a wedding registry fantasy (or nightmare) to Bruce Guberman's side of the Good in Bed story, Weiner's fans will love these satisfying and diverse morsels. The characters in these stories, vulnerable but full of hope, seek the strength to choose their own paths without looking back at "the guy not taken." 1. Why do you think this book is called The Guy Not Taken? What is the significance of the title for that story, and for the collection as a whole? What themes in "The Guy Not Taken" do you also find in the other stories? 2. Nicki, the younger sister in "Just Desserts," dismisses the Jaws movies as fake looking, yet she uses a different false name every day at work. Why do you think Nicki is preoccupied with illusion and authenticity? 3. In "Travels with Nicki," Josie fantasizes about helping her sister through college: "Or maybe I'd just drop out and give her my loan, and start again next year. My roommate would undoubtedly be delighted to have our double to herself" (44). What are the motivations behind Josie's fantasy? If she is so eager to rescue her sister, why does she leave Nicki to face their angry mother alone at the end of the story? 4. "Just Desserts," "Travels with Nicki," and "The Wedding Bed" all feature the Crystal family -- from high school angst through wedding-night jitters. And while Nicki still demands "No unnecessary touch!" the relationship between the two sisters has undoubtedly grown and changed. What aspects of their relationship remain constant throughout the stories? Which aspects seem to have developed? And finally, what brings Josie and Nicki together on Josie's wedding night? What is left unsaid between them? 5. Alice and Victoria enjoy a short, though much-needed friendship in "The Mother's Hour." What do Victoria and her "warm little kitchen" give Alice that Mark, Maisy, and all the other mothers at Mother's Hour cannot? When Ellie falls, Alice is confronted by a social worker to vouch for Victoria. "Alice paused. Victoria is a wonderful mother, she wanted to say. "(217) Why couldn't she say it? What events specifically shaped her opinion of Victoria? Was she wrong? 6. In "Buyer's Market," how does Jess's father compare to Charming Billy? What do these men want from Jess, and how do they attempt to achieve their goals? Why does Billy succeed where Jess's father failed? Though we only meet him briefly, how does David Stewart, the Hoboken real estate agent, seem to differ from them? 7. "Good Men" is a prequel to Good in Bed, Jennifer Weiner's first novel. If you've read Good in Bed, what was your reaction to Bruce's point of view? Are you more or less sympathetic to his character after reading "Good Men?" What other characters from Weiner's novels do you want to see again? 8. "Good Men" and "Oranges from Florida" are both written from a male point of view. Compare the narrative voice in each. Which is a more convincing portrait of a male perspective? Discuss these two stories within the context of the collection as a whole. 9. "It is hard to keep secrets from your children. This was what Marion thought as she did laps next to her son..." (249) Why does Marion decide to keep Hal's leaving secret from Jason? On their drive to New Jersey, Jason, who is normally very well-adjusted, seems angry and aggressive. Does he know that his father has left? And if he does know, why do both Marion and Jason seem reluctant to address the issue together? 10. There are several sets of unlikely friends in these stories: Jess and Namita in "Buyer's Market," Marlie and Jamie in "The Guy Not Taken," and Alice and Victoria in "The Mother's Hour." What is the role of envy in each friendship? Picture each story written from the point of view of Namita, Jamie, and Victoria, respectively. How would the stories change from their perspectives? 11. In the story "Swim," Cat spends hours in the pool explaining, "The familiar smell of chlorine, the feel of the water buoying me, holding me up, eased my homesickness and shame" (82) while her grandmother cooks as though it were "Christmas in New England and [she was] expecting a hockey team or two to show up for dinner." (85) What are both women compensating for? How do you see both Cat and her grandmother moving forward at the end of the story? What role does Caitlyn play? 12. How does Dora's history -- her disappointment in her son and the secret about her husband's past -- play into her reaction to Dawn and Amber's presence? At what point does it seem that Dora softens towards the girls? And why, when the girls forget to push chairs in front of Dora's bedroom door, does she opt not to call the police? Does Dora relate to the girls only because she's lonely, or is it more complex? "Fans will savor Weiner's confidential tone and salty wit." "Shouldn't be missed.... It is the reader who will be taken by this set of eleven marvelous short stories." "Puts Weiner on the map as one of her generation's best literary voices." "Another delightful example of Jennifer Weiner's tender way with words and emotions."